Naturally I bought all of the new Colourpop pressed eyeshadows. 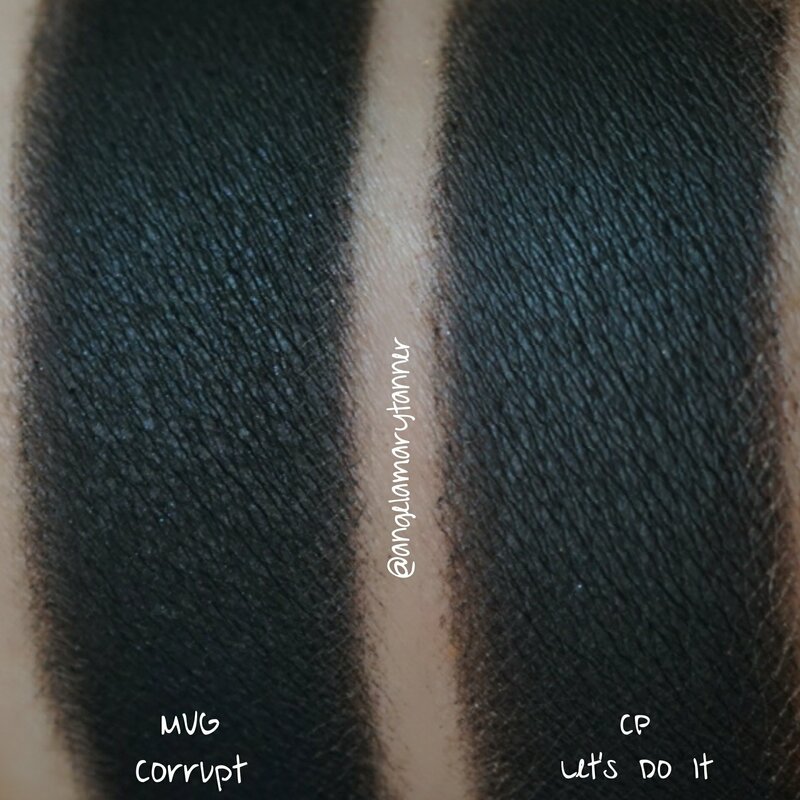 As I was swatching, I began to notice a lot of similarities to my beloved Makeup Geek shadows. I quickly did some poking around and put together the photo above. I knew that there were going to be a few similarities but I wasn’t expecting this many! 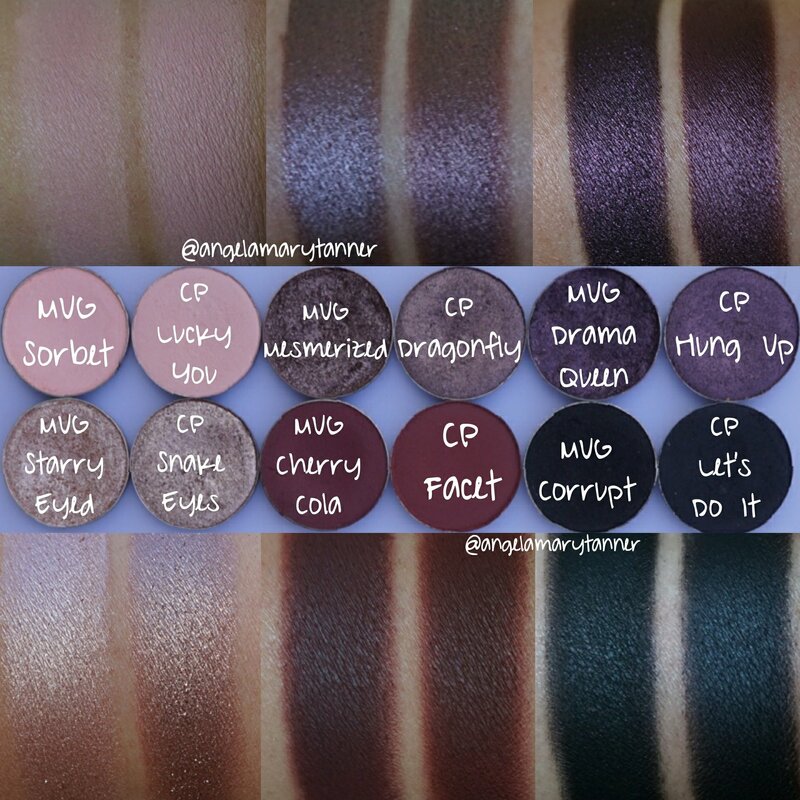 Top rows are CP and the potential MUG dupes are underneath them. 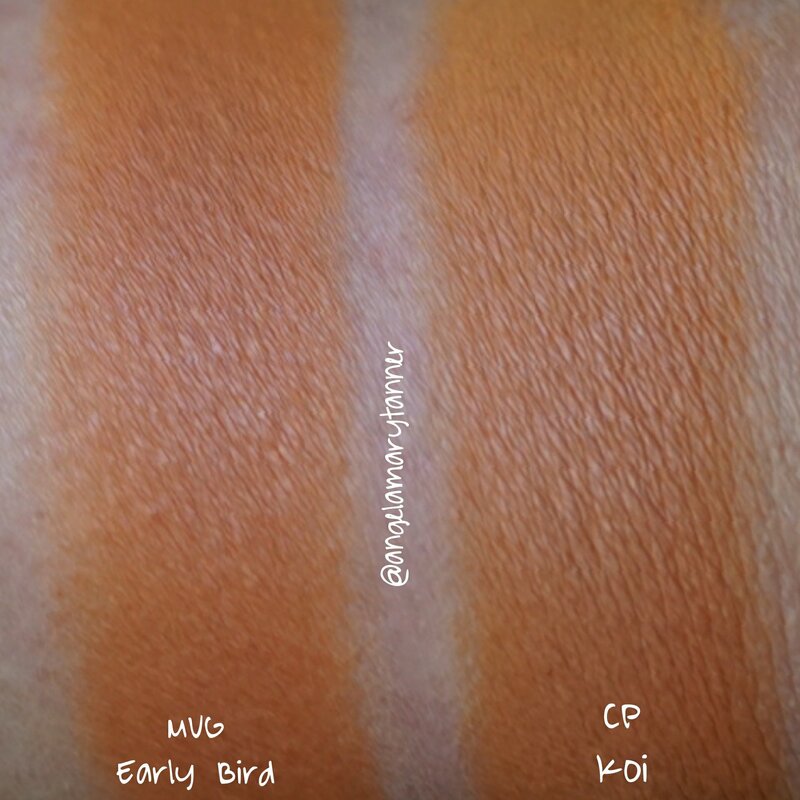 This is my second comparison of the two brands. Here’s the first. If you look closely, they’re not all exactly same and you REALLY can’t judge by looking at the pans. So the next day, I got to work and here’s what I came up with! 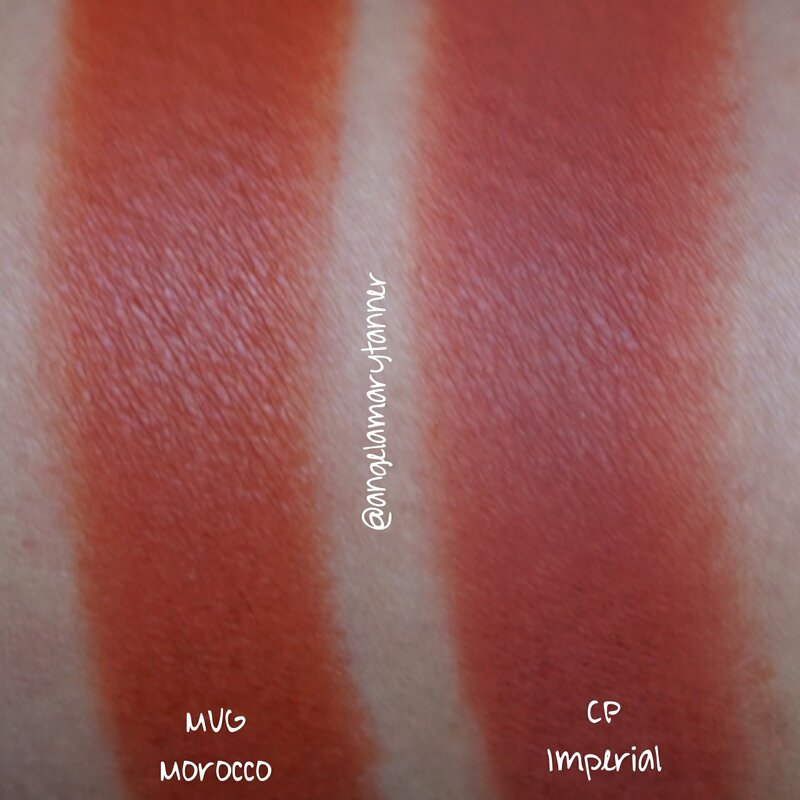 🔹️MUG Morocco vs Imperial- Morocco is more orange. Also Imperial is ‘pressed pigment’ which means that it’s ‘not intended for use around the immediate eye area’. Close but no cigar. 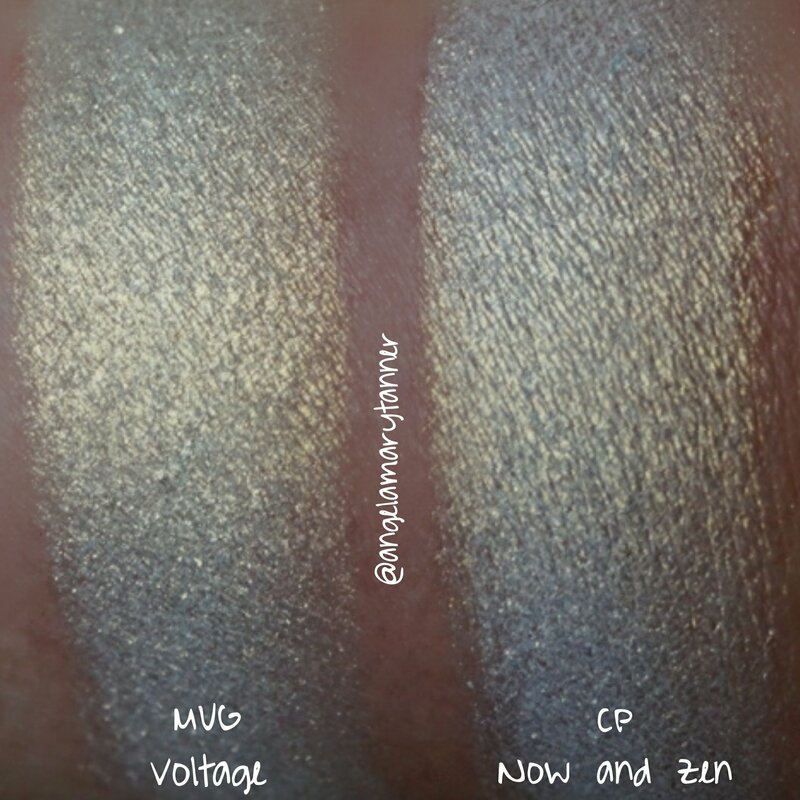 🔹️MUG Voltage vs Now and Zen- Voltage is a little more yellow but I think that they’re close enough to be dupes. 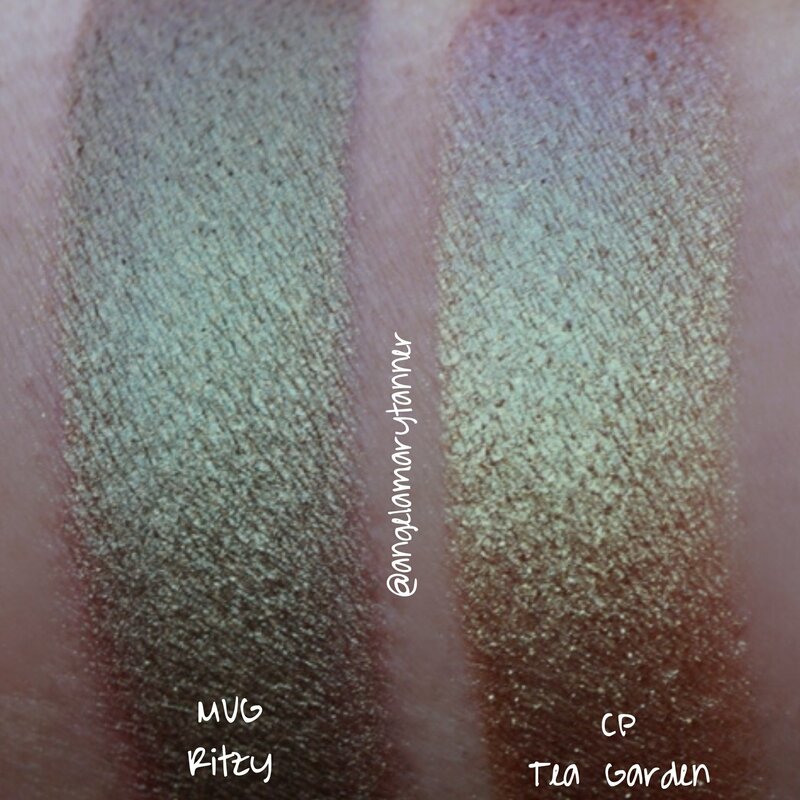 🔹️MUG Ritzy vs Tea Garden- no dupe here! Tea Garden is lighter, more yellow and more iridescent. 🔹️MUG Legend vs Paper Crane- Paper Crane is more red. Not an exact dupe but close enough that you probably don’t need both. So according to the book of AMT, we’ve got 4 dupes here. Which ones are better? Ummmm… that’s a matter of opinion I guess. I like both. 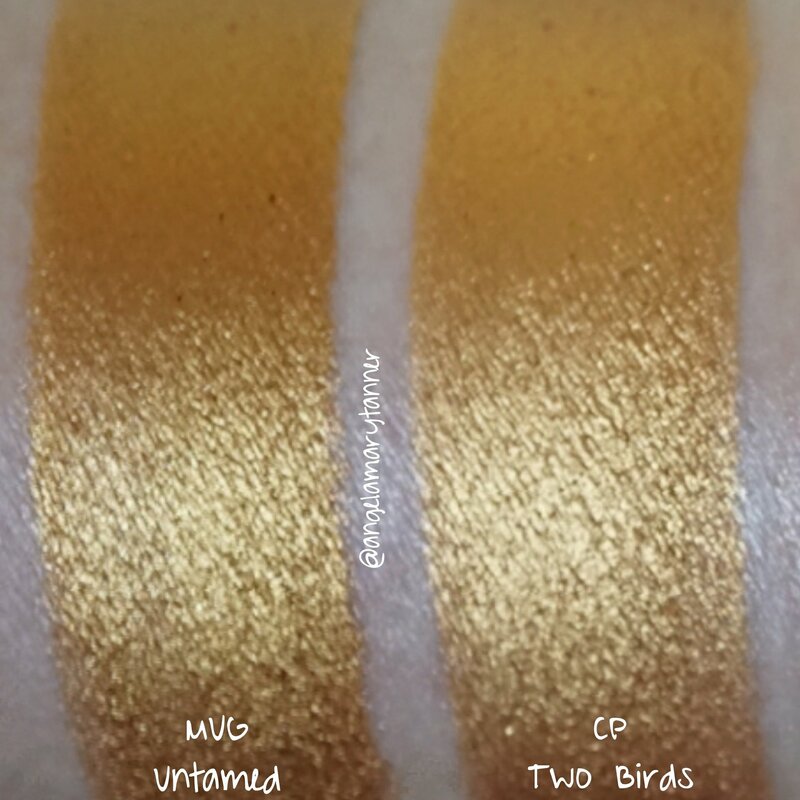 In general I prefer Makeup Geek but with Untamed/ Two birds and Legend/Paper Crane, I’d say go Colourpop because of the price difference. 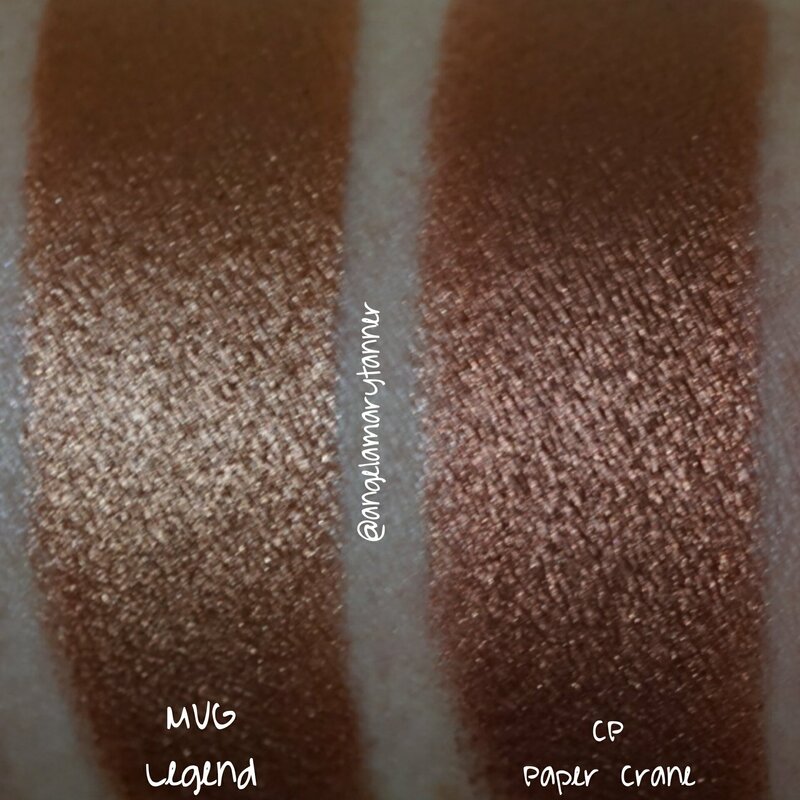 Regular mug shadows are $6 but their foiled eyeshadows are $10. 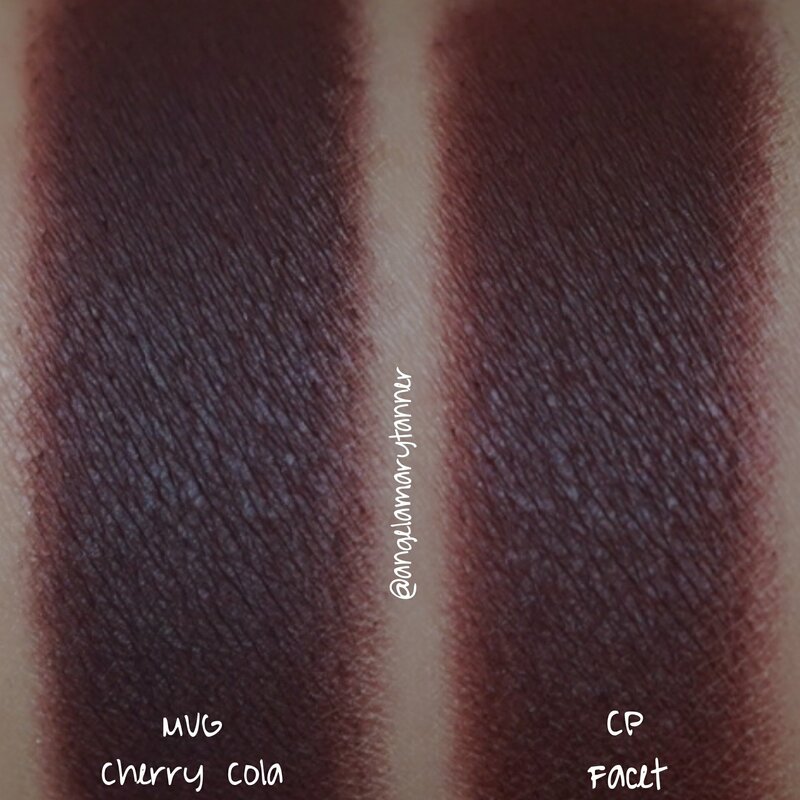 CP shadows are only $4 (or $5?). The first set was more alike but these are similar too. So really there’s no exact dupes here. But with the exception of Starry Eyed/ Snake Eyes, I think they’re close enough that you don’t need both. 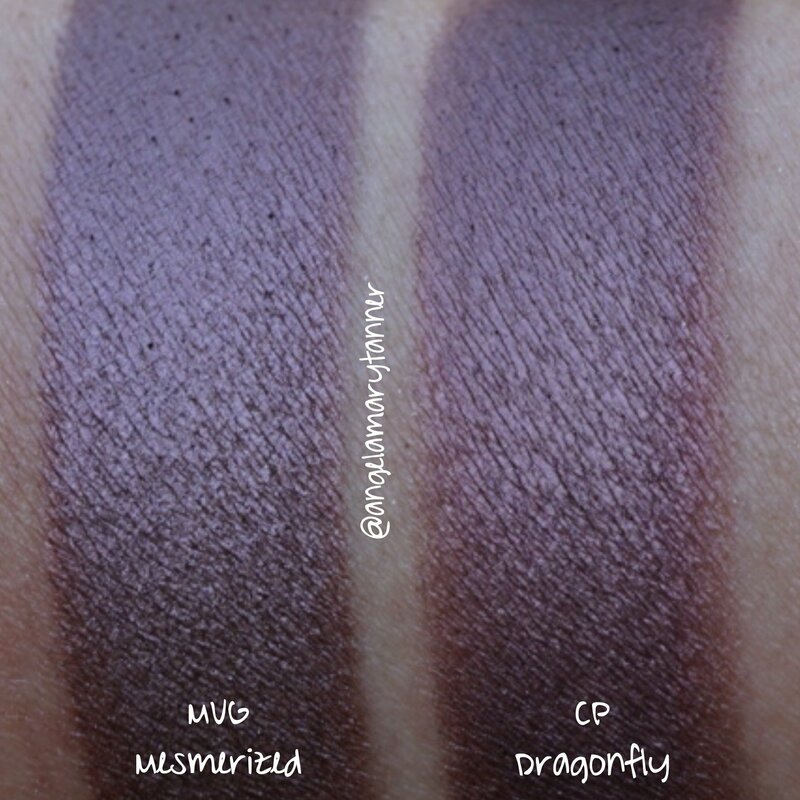 Also I haven’t even posted swatches of the new CP shadows on here! I allowed myself to be distracted by dupe hunting. Tsk tsk. I’ll correct that soon! But in the meantime, you can check out them out on my instagram! 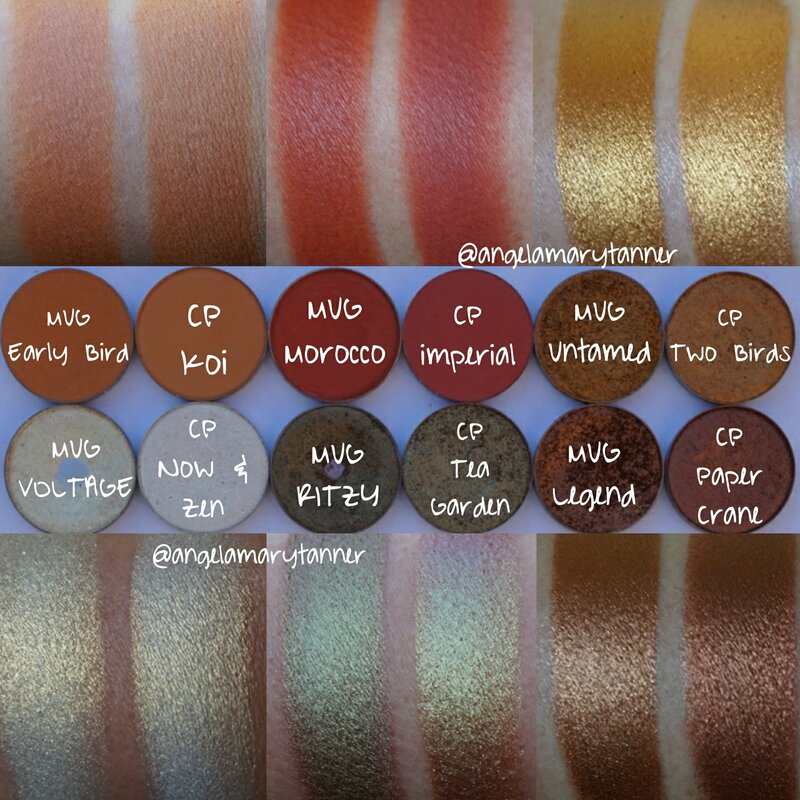 Next time I find myself with some free time, I might do an enormous Colourpop/Makeup Geek comparison! 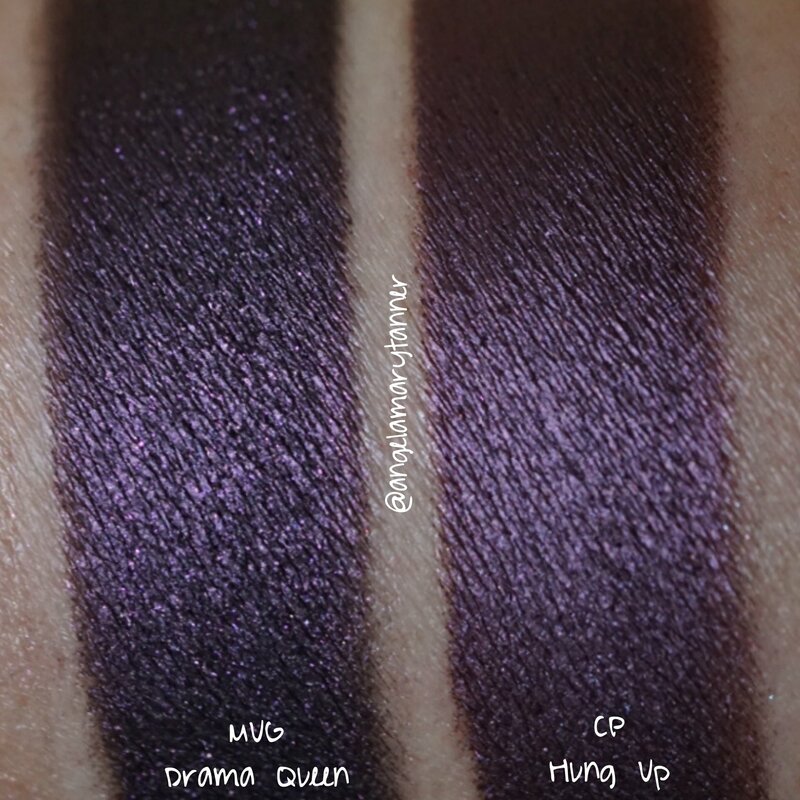 I have been eyeing MUG Starry Eyed & CP Snake Eyes as well as CP Lucky You. After seeing them side by side I decided I need Starry Eyed & Lucky You added to my collection! I will probably pick up Snake Eyes next time. 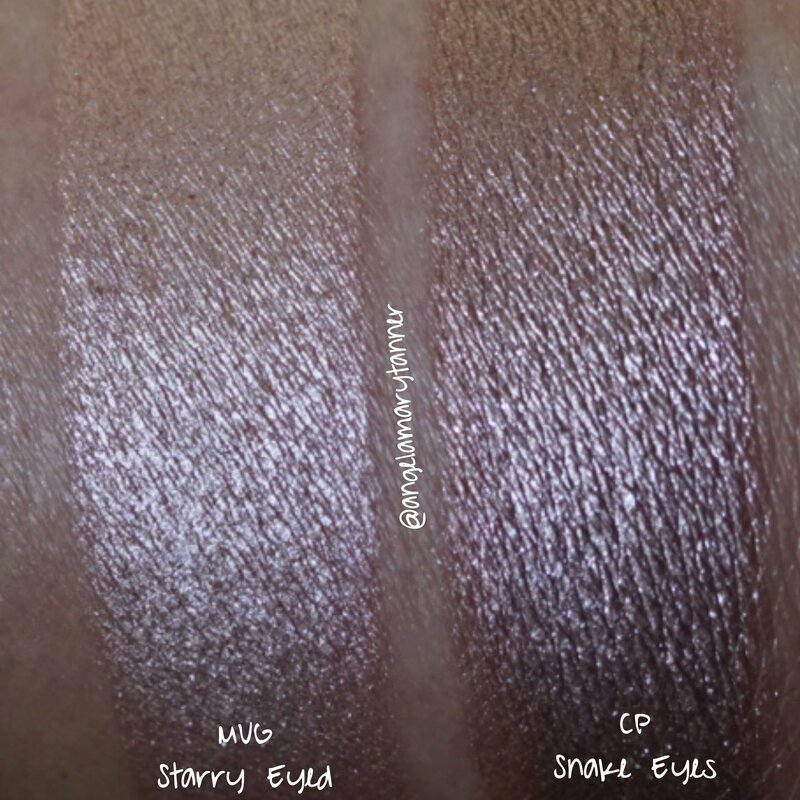 I believe Starry Eyed is too light for my skin tone. Didn’t realize Two Birds was a dupe for Untamed and Paper Crane for Legend. 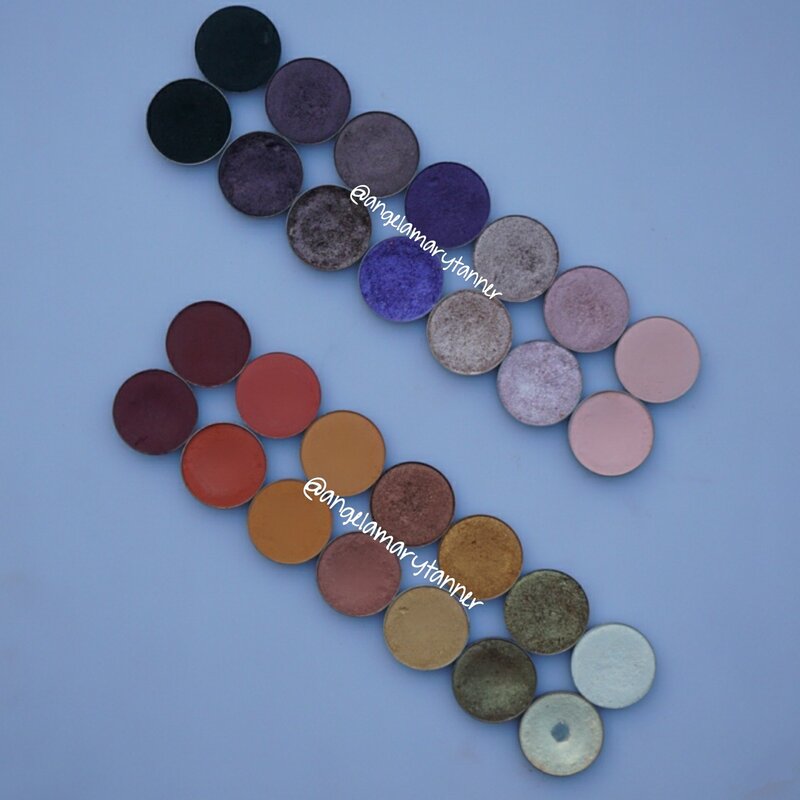 Lucky me, I was in love with both colors but not wanting to spend $20 on two shadows. 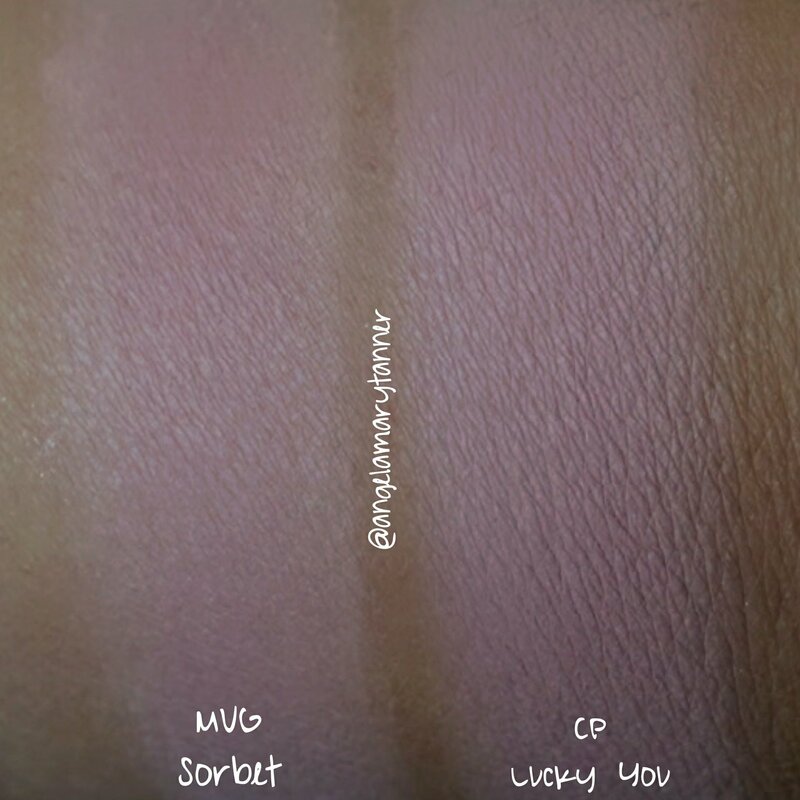 Thanks for the comparison swatches!